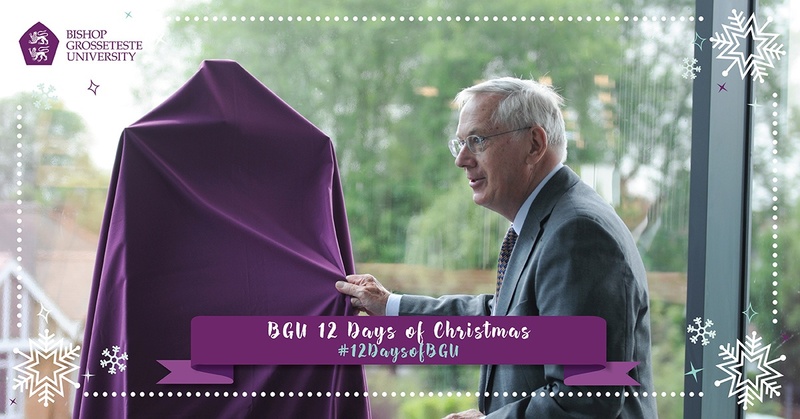 In July we were delighted to welcome HRH the Duke of Gloucester to BGU to officially open a new building on campus. The £2.2 million extension to Constance Stewart Hall, which has created a new landmark building at the junction of Newport and Longdales Road, was opened on Thursday 6 July 2017. The Duke of Gloucester was welcomed to BGU by a group of dignitaries including BGU’s Chancellor Dame Judith Mayhew Jonas and Vice Chancellor the Rev Canon Professor Peter Neil before embarking on a tour of campus. The Duke then unveiled a plaque to open the new extension to Constance Stewart Hall. The works have doubled the size of the teaching block and involved building a steel-framed structure on top of part of the original building to give the university an additional seven teaching spaces set over two floors. This approach of building over an existing structure meant that BGU significantly increased its teaching space capacity without increasing the building’s overall footprint, which helped to maintain the green and open feel of the campus. “This iconic addition to our estate really makes a bold statement in uphill Lincoln that BGU is an outward-facing institution,” said the Reverend Canon Professor Peter Neil, Vice Chancellor of Bishop Grosseteste University. Delivered by Lincoln-based architects LK2 and local construction company Robert Woodhead Ltd, the project was carried out in two phases and saw a 7,770 square foot extension added to Constance Stewart Hall to accommodate new teaching space. Click here to see photos from the Royal visit. For today’s #12DaysofBGU we take you back to July! Graduation is the highlight of the academic year here at BGU. Bishop Grosseteste University (BGU) opened its doors to the Lincoln community on Monday 25 June for its first Campus Showcase. Students were formally welcomed to Bishop Grosseteste University (BGU) in Lincoln at a Matriculation Ceremony in October at Lincoln Cathedral.